Heat oven to 350°F. Line cookie sheet with cooking parchment paper. In small bowl, mix granulated sugar and cinnamon; set aside. Unroll dough on work surface; press into 15x9-inch rectangle. 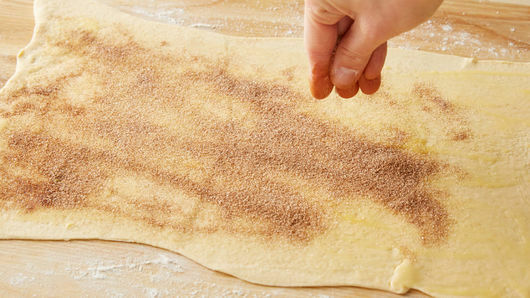 (If using crescent rolls, press seams together.) Spread melted butter evenly over dough to within 1/4 inch of edges. 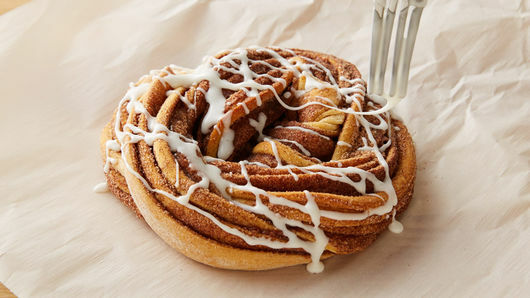 Sprinkle with cinnamon sugar mixture. Roll dough up starting at one long side; pinch seam to seal. 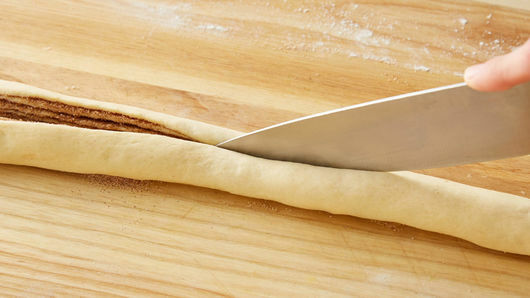 Using sharp knife or pizza cutter, slice dough lengthwise all the way through. 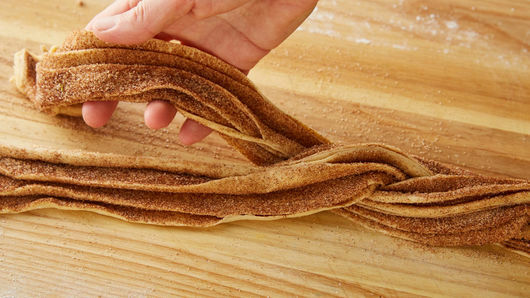 Keeping cut sides up, bring ends together, twisting dough together and spiraling into 5 1/2-inch circle. Place on cookie sheet. Bake 27 to 30 minutes or until deep golden brown and dough is baked through center. Cool 10 minutes; remove from cookie sheet. Cool at least 10 minutes before serving. In medium bowl, mix powdered sugar and 1/2 teaspoon of the milk until smooth, adding additional milk until thin enough to drizzle. Using fork, drizzle on top of crescent twist. 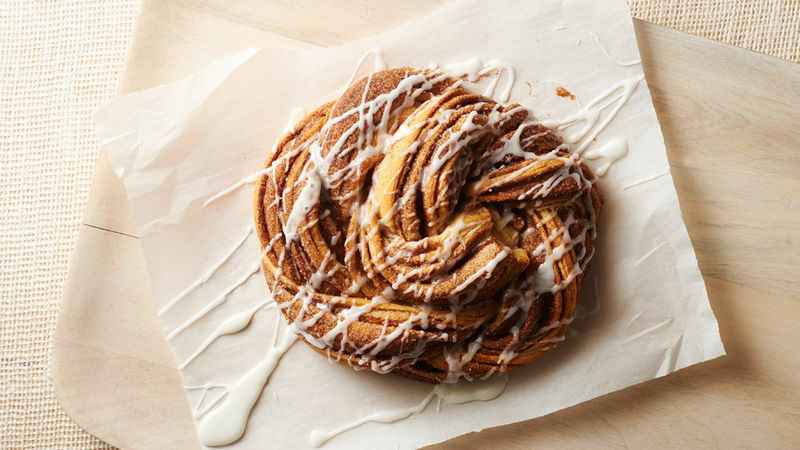 Lining your cookie sheet with cooking parchment paper will make cleanup easy. Crescent twist is best served the same day. Store leftovers in covered container, and reheat in microwave 15 to 20 seconds uncovered on High.